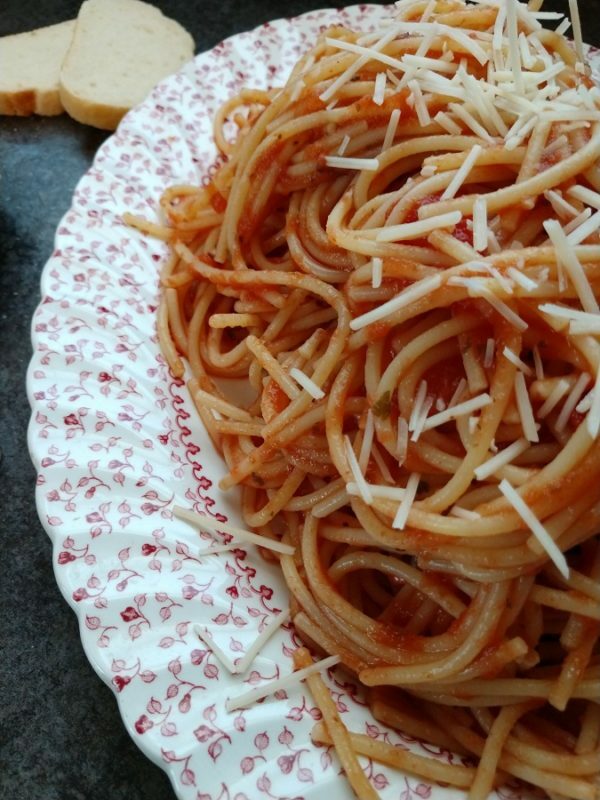 Spaghetti is one of my families favorite dinners. My oldest loves to make it herself and has a system to make it on the stove top. It makes me happy to see her love for cooking begin to blossom. I enjoy having my children in the kitchen with me and love their input into our meals. My daughter learned from a friend to add just a little brown sugar to the sauce. It adds a little sweetness to the sauce and enhances the flavor of the spaghetti just that much more. If this is not your cup of tea, leave out the brown sugar. I always make a side of cheesy garlic bread to go with the meal. 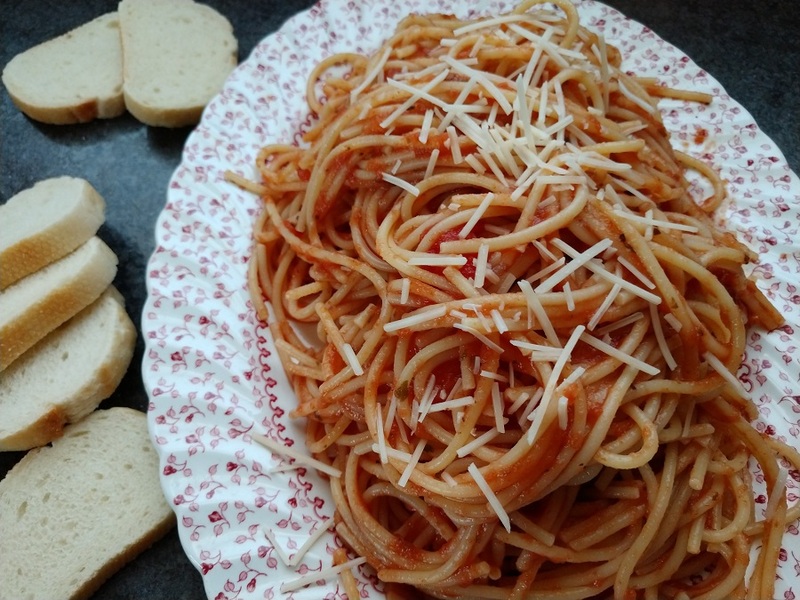 Delicious spaghetti made in the slow cooker. Serve with a side of garlic bread and meatballs for a meal. On the stove top, brown the ground beef and minced garlic. Drain of any drippings. Add the cooked ground beef, hot water, diced tomatoes, sauce, Italian seasoning, brown sugar and dried basil to the slow cooker. After 1 hour, add the dry spaghetti noodles. Bread the noodles in half prior to adding them. Then cover them with sauce. Cover and cook on HIGH for an additional hour or until the noodles are cooked. 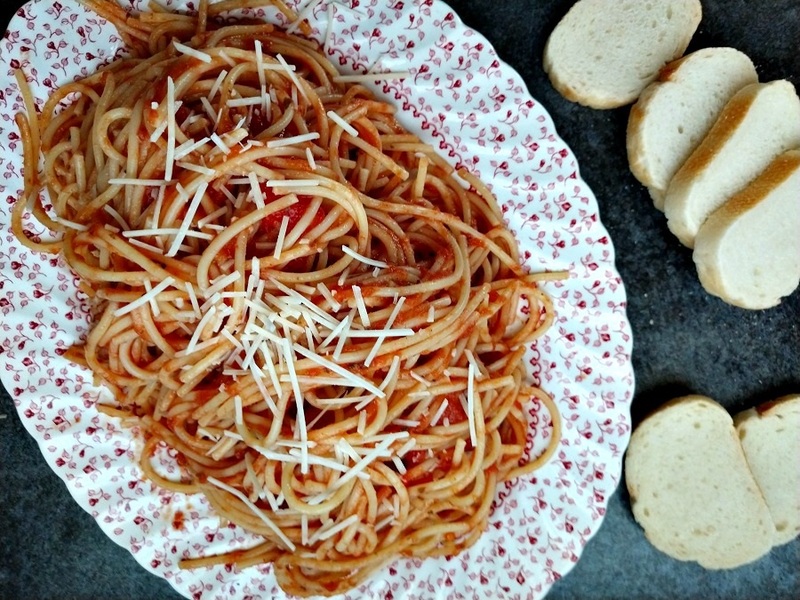 Serve with a side of garlic bread.